Human amniotic fluid stem cells (hAFS) have shown a distinct secretory profile and significant regenerative potential in several preclinical models of disease. 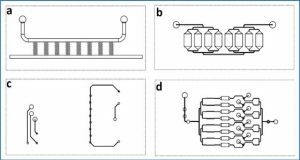 Nevertheless, little is known about the detailed characterization of their secretome. 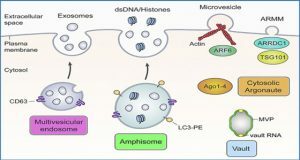 Researchers from the University of Genova show for the first time that hAFS actively release extracellular vesicles (EV) endowed with significant paracrine potential and regenerative effect. 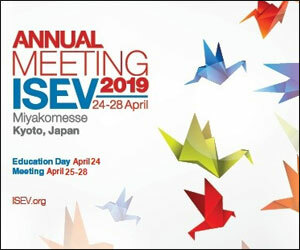 c-KIT+ hAFS were isolated from leftover samples of amniotic fluid from prenatal screening and stimulated to enhance EV release (24 hours 20% O2 versus 1% O2 preconditioning). 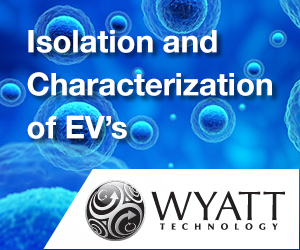 The capacity of the c-KIT+ hAFS-derived EV (hAFS-EV) to induce proliferation, survival, immunomodulation, and angiogenesis were investigated in vitro and in vivo. The hAFS-EV regenerative potential was also assessed in a model of skeletal muscle atrophy (HSA-Cre, SmnF7/F7 mice), in which mouse AFS transplantation was previously shown to enhance muscle strength and survival. hAFS secreted EV ranged from 50 up to 1,000 nm in size. 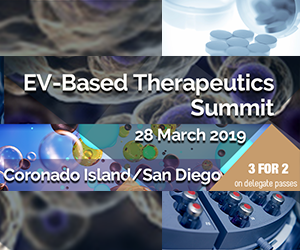 In vitro analysis defined their role as biological mediators of regenerative, paracrine effects while their modulatory role in decreasing skeletal muscle inflammation in vivo was shown for the first time. 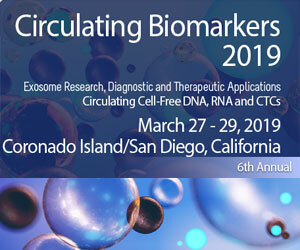 Hypoxic preconditioning significantly induced the enrichment of exosomes endowed with regenerative microRNAs within the hAFS-EV. This is the first study showing that c-KIT+ hAFS dynamically release EV endowed with remarkable paracrine potential, thus representing an appealing tool for future regenerative therapy. (A): Transmission electron microscopy (TEM) analysis of hAFS under 24 hours 20% O2 CTRL (a) or 20% O2 SF conditions (b) and 1% O2 CTRL (c) or 1% O2 SF (d) conditions; scale bars 500 nm. (B): TEM Analysis of 1% O2 hAFS-EV (hAFS-EVHypo); scale bar 500 nm in (d′); 200 nm in (d′′); and 100 nm (d′′′ and d′′′′). 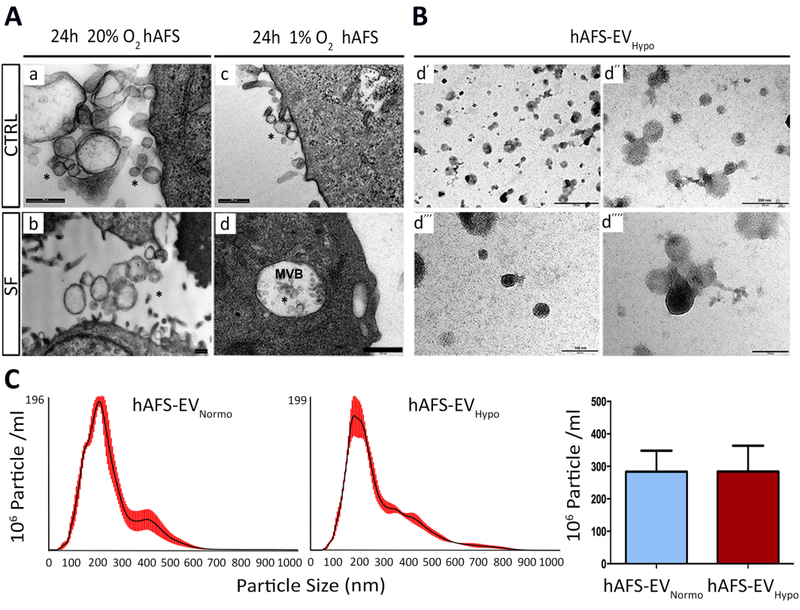 (C): Nanosight analysis measuring the amount of particles within hAFS-EVNormo (283.3 ± 64.8 × 106 particle/ml) and hAFS-EVHypo (283.8 ± 79.9 × 106 particle/ml) released by 106 cells (right panel); values are expressed as mean ± SEM. Representative images of the graphical output are reported in the left panel. 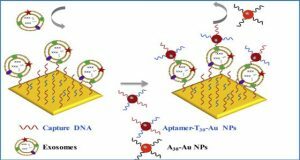 Ultrasensitive and reversible nanoplatform of urinary exosomes for prostate cancer diagnosis. 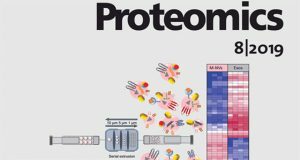 Exosomal microRNA-155-5p from PDLSCs regulated Th17/Treg balance by targeting sirtuin-1 in chronic periodontitis. Exosomes from Human Umbilical Cord Mesenchymal Stem Cells Reduce Damage from Oxidative Stress and the Epithelial-Mesenchymal Transition in Renal Epithelial Cells Exposed to Oxalate and Calcium Oxalate Monohydrate. 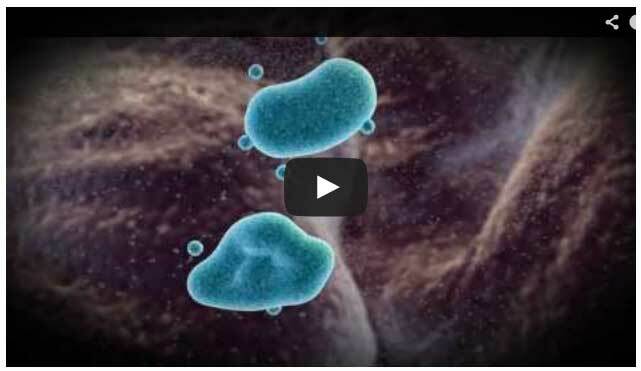 The role of exosomal shuttle RNA (esRNA) in lymphoma. 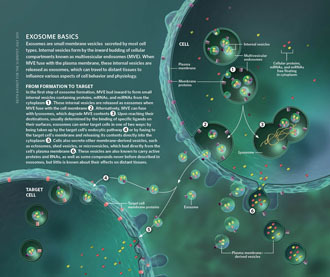 Extracellular Vesicles and Carried miRNAs in the Progression of Renal Cell Carcinoma. 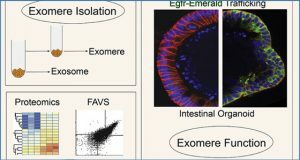 Extracellular Vesicles in the Oviduct: Progress, Challenges and Implications for the Reproductive Success. 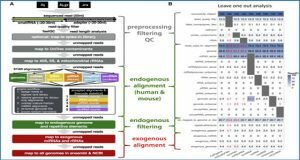 MiCEE is a ncRNA-protein complex that mediates epigenetic silencing and nucleolar organization.